Decollate Snails have been a part of the organic solution for garden snails for years. They have been in common use in the citrus industry and there is a large amount of literature on their use in the groves. 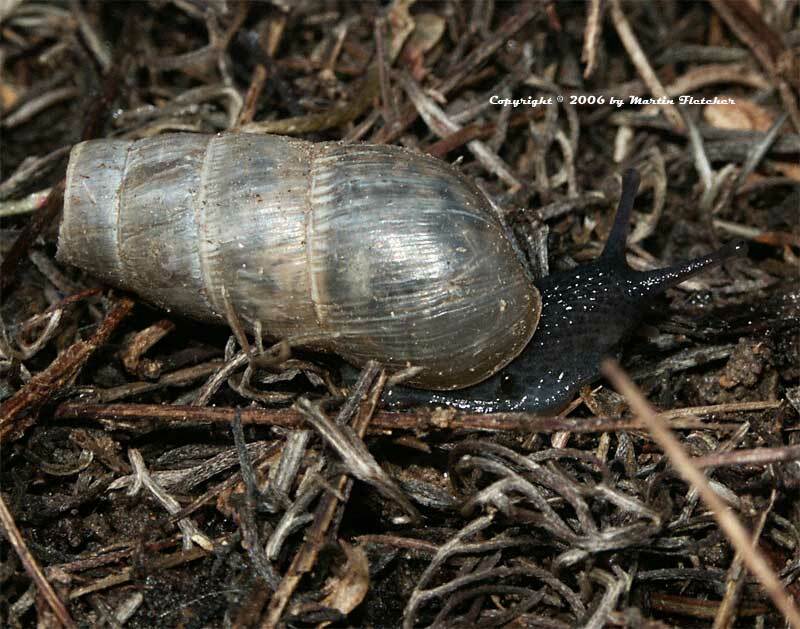 The Decollate Snail will eat young snails and slugs as well as some dead leaf litter. On rare occasions Decollate Snails have been seen on tender seedlings. This is not an issue if there is adequate organic material around. Decollate snails prefer a loose thick mulch or better yet a green mulch of low growing plants. It can take a couple of years for the snails to bring the population of the garden snails to a reasonable level, they will not likely eat all of them, then there would be nothing for them to eat. And they are susceptible to the same poisons that kill other snails. The snail that eats snails is the Decollate Snail . High resolution photos are part of our garden image collection.